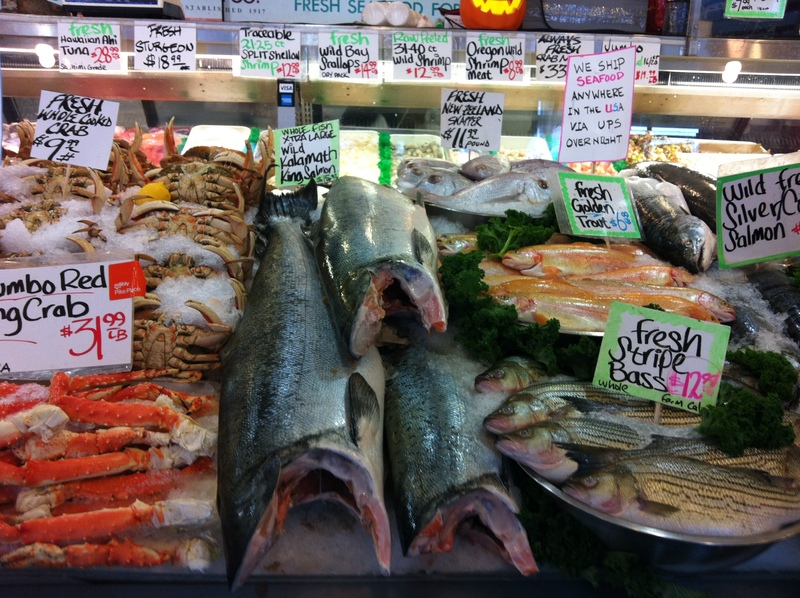 In the spirit of writing this post from Seattle, today’s topic (well, really I am writing this at night as I am sleepless in Seattle) is Salmon…living like Salmon as a matter of fact! This may sound fishy, but there are some lessons to be learned from Salmon. Being that chicken, pork, and beef aren’t on my food list of things I like to eat –I eat a lot of seafood; especially salmon. I took a tour of Seattle this past weekend and was fascinated to learn a little more about this pink yumminess that ends up on my plate. I am by no means a “salmon expert” or biological sciences guru, but I will attempt to summarize what I learned about salmon on my tour. Salmon start out as a little egg that have been deposited and fertilized by mommy and daddy salmon in the gravel/rock of fresh stream water. It takes 1 to 3 months for the eggs to hatch and then they spend up to another five months hanging out around the gravel. They then spend up to a few days or as long as five years living in the fresh water. At the mouth of the streams and river, they school together for a trip out into the ocean. This journey into the salt water can last anywhere from 1 to 5 years. Once they mature, they head back to their original stream and readapt to fresh water. Their final destination is the original rocks or spawning ground where they were born. There they spawn (breed/lay eggs), bury themselves, and die. Thus, fertilizing and creating a nutrient rich home for the next generation of salmon. So what can we learn from the salmon? Remember where you came from and grow from it. Leave the nest and make your own understanding of this world. Taste different waters-some might be refreshing, some salty, some murky-but open your mind to new things. Explore the vast “ocean” before you. Be amazed by its colors and beauty. Do not let the sharks bite you, the fisherman’s nets tangle you up, and other predators steal your joy! Be flexible and patient. Surely, breathing fresh water one day and salt water the next takes some persistence and flexibility. Lay your eggs and then die. Okay-not really. Although skipping colic and terrible twos could have some perks. But on a serious note, if you’re a parent-create a new you. This doesn’t mean let your old self “die” necessarily. Take your best characteristics, modifying your worst, and be a good parent. In turn, create a life for your child, do not just recreate your childhood. Leave something behind to fertilize others…especially your children. Spend your time replenishing others, build their worth, and affirming their value. Be a positive influence and leave the world a better place than you found it. Today my spoon is full of some of the best salmon I have ever tasted.